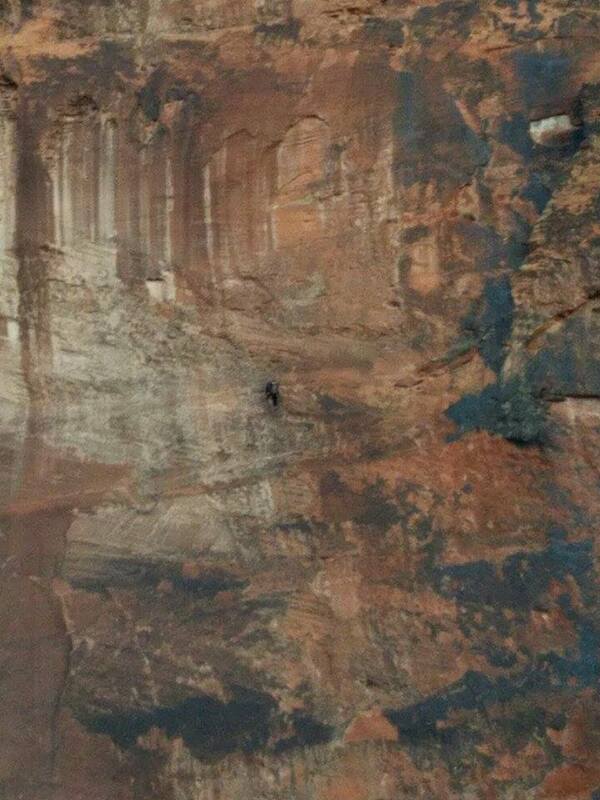 Area magnified to show where two climbers were stranded for nearly four hours when their rope became tangled near Pygmy Alien formation, Snow Canyon State Park, Utah, Dec. 29, 2016 |Photo courtesy of Darrell Cashin, St. George News. 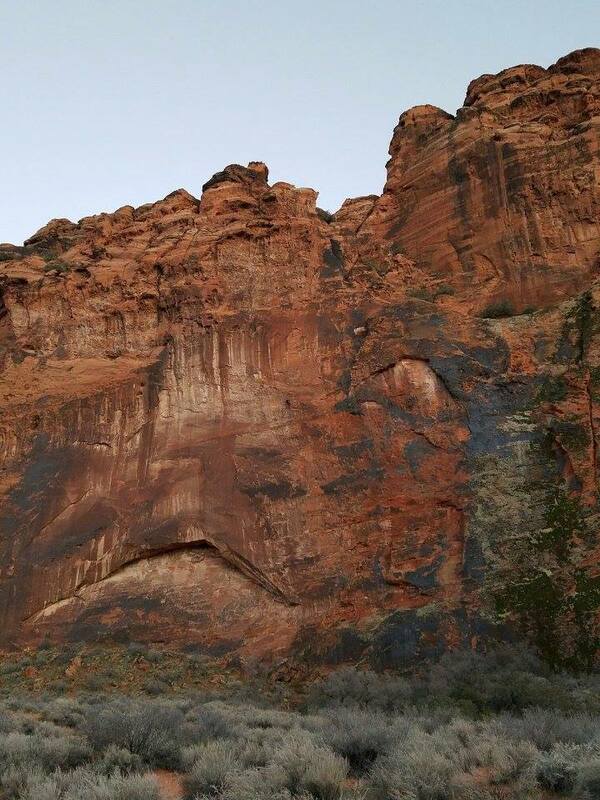 ST. GEORGE — Two climbers were trapped for several hours before help arrived Thursday, dangling more than 200 feet from the ground after their rope became tangled in the rocks. Two climbers were stranded for nearly four hours on the side of this rock when their rope became tangled near Pygmy Alien formation, Snow Canyon State Park, Utah, Dec. 29, 2016 |Photo courtesy of Darrell Cashin, St. George News. Just after 4 p.m. the St. George Communications Center received a call reporting that two climbers became trapped while rappelling in Snow Canyon State Park, Washington County Search and Rescue Liaison Darrell Cashin said. Two high-angle rope rescue teams were paged and responded to the northeast side of the Pygmy Alien, located in the middle of Circus Wall, which is a part of Island in the Sky formation in the park. The popular formation includes nine separate climbing areas with multiple routes, according to information from the Utah State Parks website. The climbers were located in the middle of the bluff, more than 200-feet from the ground, Cashin said, with another 200 feet of rock wall rising above them. The tangled rope made it impossible for the climbers to complete the rappel and also prevented them from climbing back up the rock wall. Rescue teams were en route to where the two climbers were hanging just as the sun was setting. Unbeknownst to the rescue team, a couple that was also climbing in the area noticed the stranded pair hanging in the middle of the rock formation and went to see if they could help, Cashin said. Once they reached the top and could see where the rope was tangled, one of the climbers was able to free the rope just as the rescue team arrived. The stranded climbers were then able to pull the untangled rope down, which allowed them to rappel to the ground where the second high-angle team was located. Both climbers were in good health and uninjured, Cashin said, and were soon reunited with their friends. The climbers told the rescue team that once their rope became tangled, the group that they were climbing with made several attempts to free the rope. It was nightfall by the time rescuers reached the area near Pygmy Alien formation, Snow Canyon State Park, Utah, Dec. 29, 2017 | Photo courtesy of Darrell Cashin, St. George News. After realizing they could not climb down to where the rope was tangled without help, the group called 911, and the rescue was initiated. The climbers were hanging on the side of the rock, secured by an anchor for nearly four hours, and were finally rescued after dark, Cashin said. Thursday’s call for rescue marks the 85th call in 2016 for Washington County Search and Rescue, Cashin said, down from 101 rescues the team responded to in 2015. 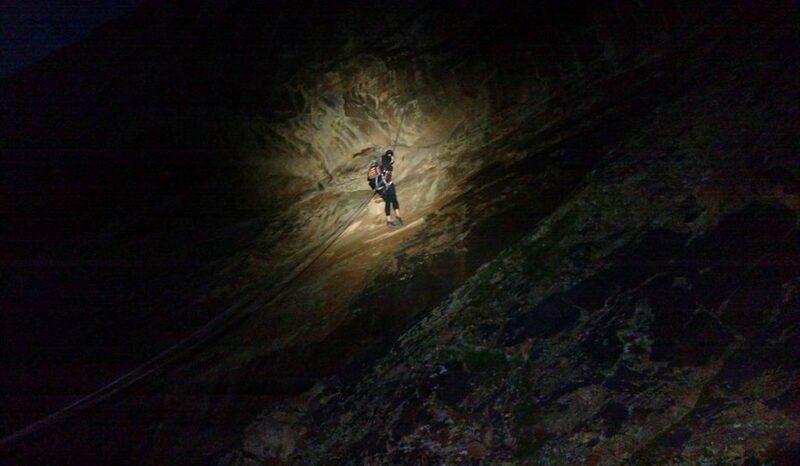 Among the calls for help this year were water rescues with man’s best friend, two cave rescues less than one week apart, a rescue that required staying on a cliff with a stranded climber until sunrise, saving a young man on Sand Mountain Wednesday night, and the rescue of the two Snow Canyon State Park climbers Thursday. This report is based on preliminary information provided by law enforcement or first responders and may not contain the full scope of findings. Two climbers became stranded for nearly four hours on the side of this rock when their rope became tangled near Pygmy Alien formation, Snow Canyon State Park, Utah, Dec. 29, 2016 |Photo courtesy of Darrell Cashin, St. George News. They should charge the stranded people girl the rescue and then it won,t happen so often..
My daughter is an avid rock climber. She and her climbing companions spend the extra time to have contingency plans in the event of equipment failure, or incapacitation of a fellow climber. This is necessitated by the remoteness of their climbing activities, and proper training. Absolutely correct observation: If the county started a charge-back system these folks would either be better prepared, or climb elsewhere…. Many climbers carry insurance through American Alpine Club that covers the costs of rescues. 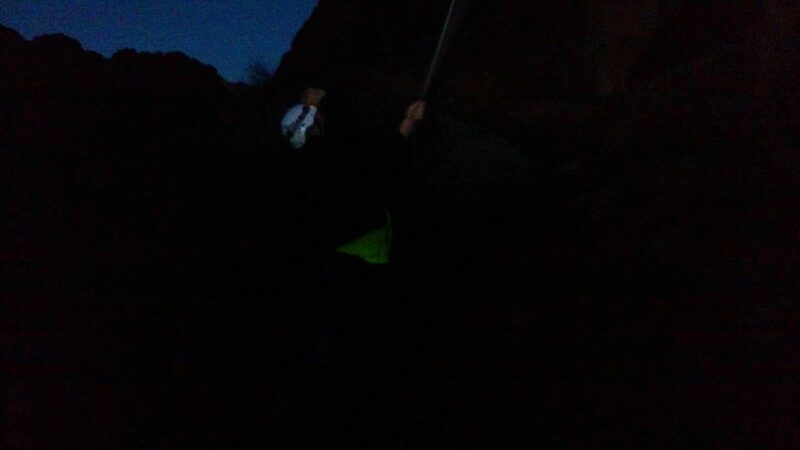 Things like getting a rope stuck have nothing to do with competency or preparedness of the climbing party. It just happens. Many of us have been stuck somewhere – even on this same wall in Snow Canyon. I’m glad for them that it was Snow Canyon and not Red Rocks or Zion where they may have been there until morning.